The African Union Commission (AUC) has endorsed the 30th edition of the African Public Relations Association Conference (APRA), titled APRA Botswana 2018. 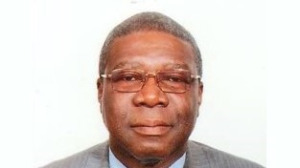 The deputy chairperson, HE Kwesi Quartey, accepted APRA’s invitation to be the 'special guest of honour' at the conference, scheduled to take place from Wednesday, 9 May 9 to Friday, 11 May in Gaborone, Botswana. Quartey, who will also be delivering the keynote address at the opening ceremony, says he is delighted to have accepted the invitation and aims to ensure the success of the conference. The AUC also aims to commit to its partnership with APRA to ‘Re-PResent Africa’, which is also the theme of the 2018 conference. AUC’s endorsement comes alongside several others from the International Public Relations Association (IPRA), International Communications Consultancy Organization (ICCO), Global Alliance, Public Relations Networks, and National Associations across Africa. APRA Botswana 2018 will also feature the second edition of the SABRE Awards Africa, which aims to showcase the best work in public relations from across the continent. This is organised in partnership with the Holmes Report. The 30th edition will have in attendance an array of speakers and facilitators from both within and outside Africa, playing host to professionals from various sectors of the communications industry, including public relations, marketing, advertising, branding, and the media. APRA Botswana 2018 will aim to focus on issues around Fake News, Ethics, and Story Telling as a tool for public relations. The president of APRA, Yomi Badejo-Okusanya, says that delegates will not only listen and learn from these renowned speakers, they will also have the opportunity to experience the beautiful nature of Botswana’s rich culture and tradition. APRA is the umbrella body for the practice of public relations in Africa. It is a non-governmental, non-profit organisation established to aim to foster unity via interaction and exchange of ideas among public relations practitioners in Africa as a whole, and through communication, promote social, political, and economic integration on the continent. For more information, visit www.afpra.org. You can also follow APRA on Facebook, Twitter or on Instagram.